If you are seriously considering an inground swimming pool, you’ve probably discovered that there are a lot of decisions to make! At the top of this list stands one preeminent question: How do I select a reputable swimming pool builder? This question is so important because the expertise and integrity of your pool builder will play a huge role in determining the final outcome of your project. One of my coworkers just got engaged. (Congrats again, girl!) I don't know how long it took her fiancé to pick out the ring, but the more I learn about ring shopping, the more complicated it sounds. You have to spend enough that it's lifelong quality, but not so much you put yourself in lifelong debt. You have to choose a high-quality band and stone(s). Just as important, you need a high-quality, trustworthy jeweler. They'll make or break the experience in the long run. You know what's bigger, more permanent, and much more expensive than an engagement ring? An inground pool. So how do you know if your pool builder is a good one? Which Type of Pool Has the Best Warranty? Fine print: we all hate it. How many of us really read the Terms and Conditions? Buckle down...you really do need to read your pool warranty. Actually read it. Then ask about anything you don’t understand or agree with. Okay, I know warranties aren’t exactly a fun conversation topic. But bear with me! Most of us skim over Terms and Conditions, but you do actually need to read your fiberglass pool warranty—and you need to know what to look for. As fiberglass pool manufacturers and installers, we at River Pools can offer expert advice. Before I give my frank observations on the happenings of last week’s national dealer conference, allow me to reflect a little if you wouldn’t mind. Are You Looking for a One-Night Stand with Your Pool Builder? How to Find the Perfect Property for a Future Pool: 5 Valuable Tips! At River Pools we receive calls on a daily basis from folks who are in the process of looking for a new home or property where they can install a future pool. They all want to know the same thing: “What should I look for in a property where I can install the pool of my dreams?” That’s a great question, and we just happen to have some great ponters so let’s dive right in! How NOT to Install Fiberglass Pool Coping...Jobsite Video! 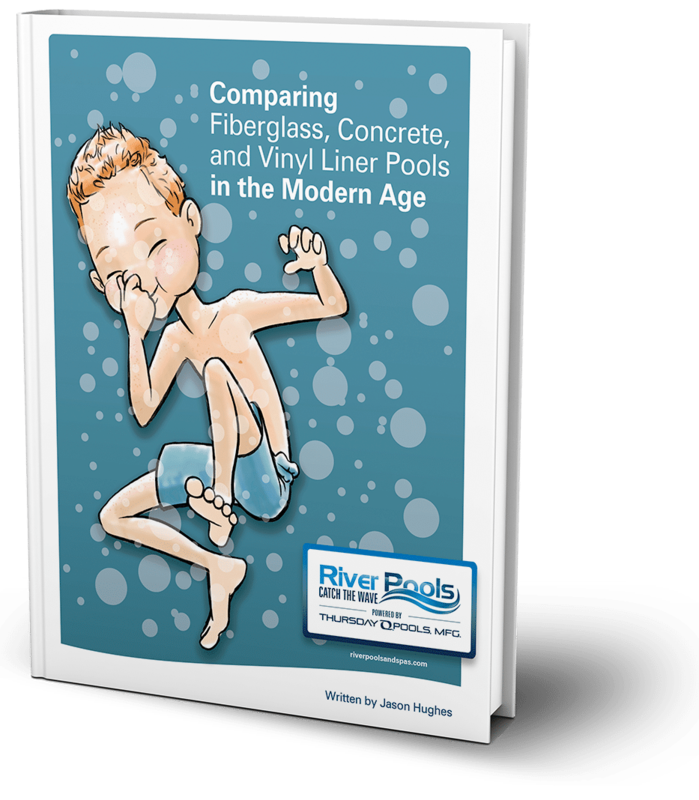 Are you considering a coping upgrade on your new fiberglass pool? If so, take a minute to check out this video outlining how NOT to install fiberglass pool coping. As you'll see, the video was shot on a job site where paver coping was improperly installed. We'll look at what was done incorrectly, as well as discuss correct ways to install coping on fiberglass pools.